How does a company like S&S Cycle celebrate six decades in business? With a limited edition anniversary engine, of course! The high-performance specialists at S&S said they always wanted to do a brushed nickel finish, but realized it would be tough to do in quantity. So S&S’s sixtieth anniversary provided the perfect opportunity to create these beautifully customised and strictly limited masterpieces – only 60 are available worldwide. 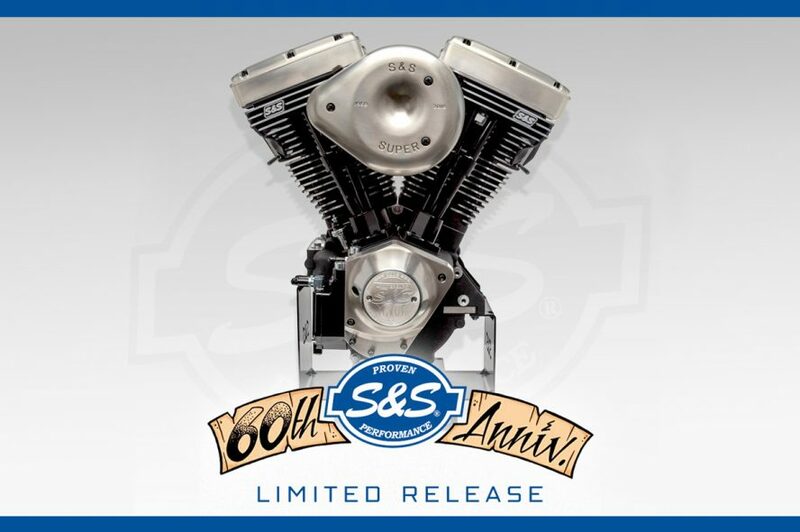 Based on the S&S V-Series platform with a massive 124” displacement, each Anniversary engine is hand built and serial numbered 1-60 and each includes a matched engine stand with corresponding serialized plaque. These Evolution engines pack all the high-performance you’d expect from S&S with the addition of a serious style upgrade. If you’re a serious bike-builder or collector, don’t miss the opportunity to get your hands on this piece of motoring history. For more technical specs or purchasing information contact Rollies Speed Shop on 07 3252 5381.